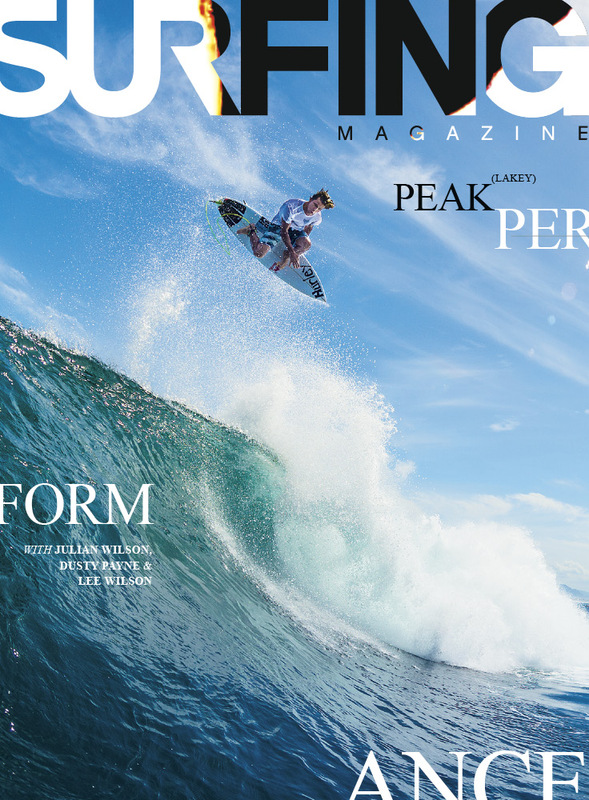 Thirsty for a digital copy of SURFING Magazine? Lap it up here! Sometimes the best thing to expect is nothing at all. Just as you can't count on a 10 on Tinder, don't write off that afternoon surf just because it looks bad from the beach. Paddle out void of expectations and you'll always be pleasantly surprised. Last weekend, I received an email from a mom on the East Coast. She complimented our recent "Teen Age" issue and went on to talk about her own experiences with her children in surfing. "I know people who have refinanced their home to get money for private coaching trips for their kids," she said. "Others have set up GoFundMe accounts or taken out small loans in hopes of getting a fleeting glance from a major brand's team manager. At a recent event, I spoke to an 'industry' person who complimented me on my son's surfing, but proceeded to tell me that companies really want 7-year-olds to have a social media platform, and if he didn't have at least 1,000 Instagram followers, sponsorship looked grim." She then asked my advice on how to best set up her son for sponsorship and success, and in so many words, told me she was pretty much banking on it. Well, things just got serious, didn't they? I responded and told her the most important thing for her son is fun. Not contest results. Not Instagram followers. Not expectations. He should be surfing for the beach days, friendships, sunburns and rashes. For the love and enjoyment of the ocean. Everything else will work itself out. I spent the next day enjoying a beautiful, Indian summer afternoon at the beach in Cardiff, California. Air temp in the 90s, water in the 70s. I sat in the sand and watched a dad push his young son into wave after wave. He struggled to get to his feet but laughed freely, like a kid should laugh. After an hour, the pair came in and plopped down next to me, the dad smiling and his son shivering, but still grinning ear-to-ear. "Dad, d-d-did I d-d-do good?" He asked, teeth chattering. "You did great. Did you like your first time surfing?" His father responded. "Good, because that's all that matters." The dichotomy between the email I'd received and this father/son exchange was striking. One grom saddled with heavy expectations for a surf career, the other just trying to stand up on a surfboard and begin a lifelong relationship with the ocean. I liked the second kid's odds better. Setting aside our expectations and embracing what will come can be a fruitful exercise, and it's the backbone of this issue. Take our freesurfing excursion to Indo with Julian Wilson. While speaking with Julian about his trip to Lakey Peak, we expected to hear him tell us how much of a relief it was to surf outside of a jersey for a week — to push his own boundaries without the anchor of 7-point rides weighing him down. What he told us was the complete opposite. In fact, Julian strongly believes that the ASP — not freesurfs — is where the best surfing in the world is happening. We also sent Managing Editor Leo Maxam to report on Newport Beach post-Hurricane Marie. All of us expected him to return with a story about spoiled rich kids and lazy pros waiting for success to be served to them on a silver platter. Instead, Leo found a community as rich in surf culture and history as it is in property values.